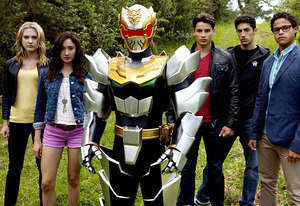 Tokunation › Power Rangers › Power Rangers Megaforce Special: “The Robo-Knight Before Christmas” December 7th! 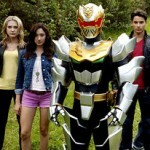 Power Rangers Megaforce Special: “The Robo-Knight Before Christmas” December 7th! Power Rangers Megaforce may have finished its normal run but there’s one last event for the Rangers this year: “The Robo-Knight Before Christmas,” airing Saturday, December 7th! A brand-new promo for this holiday special is now online! Power Rangers Megaforce may have finished its normal run but there's one last event for the Rangers this year: "The Robo-Knight Before Christmas," airing Saturday, December 7th! A brand-new promo for this holiday special is now online! Tune in this weekend and help RoboKnight learn the true meaning of Christmas! Wouldnt he have known from his computer and being created years ago where he was? I hope this is better than the previous PR xmas episodes. Just going by the preview alone I'm calling this "Robo Knight's Bizarre Adventure"
And something to paraphrase Linkara to sum up the series: "The Robo Knight Show featuring the Power Rangers." As a Robo Knight episode, I'm fully expecting this to be glorious. All times are GMT -4. The time now is 6:33 PM.